So, you're not a big fan of non-brand? You have company. Many marketers find non-brand keywords or campaigns to be the black sheep of the family, performing at lower returns than expected. A lack of leads and conversions are common complaints. Yet non-brand keywords and campaigns are broad in nature and draw in a lot of impressions and traffic. Impressions and traffic are definitely great, but it's not your ultimate search marketing goal. You want to increase sales and profits while creating new customers and establishing loyalty. Non-brand keywords and campaigns can propel brand awareness to a satisfying level you've never realized–you just have to play your search marketing cards right. While non-brand comes at a price, if advertisers and brands peel back the effects of non-brand on their entire portfolio, satisfying results can be achieved. To offset a successful non-brand search marketing experience, it's necessary to set up realistic goals with your account manager. It's important to weigh the benefits and risks of implementing non-brand keywords and campaigns into your search marketing strategy. Let's start with some benefits. For example, non-brand search expands reach and increases awareness about one's brand. It helps you connect with prospects in a way that brand search doesn't. Take Nike, for example. One brand keyword it may rely on is “Nike sneakers” to draw searchers in. Although searching this keyword would quickly lead one to first-page results featuring the food, non-brand would go beyond. Gathering data on this non-brand keyword can offer insight about what kind of sneaker prospective customers are really interested in. You could bid on this keyword around a new feature or benefit your company is exploring. Search volume and engagement tied with your ad message are useful indicators of what is or isn’t appealing to your audience. More often than not, non-brand search marketing doesn't have a 1:1 return. For example, the ROAS tied to ads featuring "running sneakers" may suggest that revenue generated from these ads is less than the money you spent on them. High investment and low return can burn a big hole through your wallet over time. Even though you could receive high traffic for this keyword, it's not meaningful enough. It's harder to transform passive searchers into active buyers by using it, compared to brand keywords. The popularity of brand terms allows them to stick in prospect's minds better, which makes it easier to capture market share with new products. And let's not disregard the hardship of repeat business. Brand keywords and campaigns encourage customer loyalty and repeat business. Consumers tend to run with familiar products for convenience, making it more difficult for the non-brand search to leverage success. On the other hand, you can grab a new, more relevant audience with more flexible and less aggressive ROAS goals. Achieve this by working with your account manager to use non-brand money wisely. For instance, consider focusing your advertising efforts on geo areas where your target market resides, making them more reachable. Factor in dayparting to schedule ads during specific times of the day or days of the week that are the most beneficial for you and your target market. This allows you to increase or decrease bids during key hours. Also, consider adjusting device bid levels to get desirable search volume and engagement through multiple devices. After your campaigns launch, don't just look at conversions at the keyword level – look at assist conversions. Perhaps your non-brand keyword didn't get a direct conversion but instead assisted another keyword to convert. You should not discount the performance of non-brand solely by how many direct conversions it has generated because it can show a different yet valuable path that led one to convert. Furthermore, we should not only look into Google, Bing, and other big search platforms to understand performance. Take a look at your analytics tools to comprehend how non-brand keywords and campaigns perform. When it comes to Google Analytics, look at the path to conversions report and see which campaign sparked conversions. It is highly likely that a person started with a non-brand click but didn't convert. However, this person converted later down the funnel. If that non-brand campaign was never alive, that conversion may have never been realized. Here's the moral of the story: Your non-brand keywords and campaigns are likely performing a lot better than what you see at first glance. It's necessary to work closely with your account manager to devise realistic goals and expectations before launching a new non-brand search marketing campaign. Once campaigns are live, don't react too quickly. There may be some days that you see spend and no conversions. Don't let this discourage you right away. In this case, give campaigns a few weeks to collect data in order to make accurate assumptions on performance. 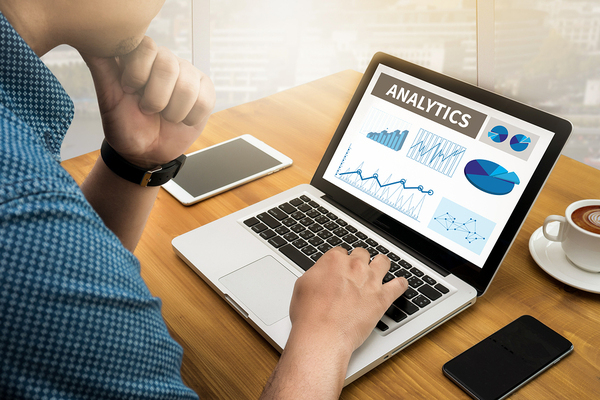 Finally, make sure you look beyond last-click conversions and are using analytics tools and other KPIs to determine success. Hopefully, you have a better perspective on non-brand search power. It certainly has its pros and cons, but you can optimize your use of it to drive awareness that has a meaningful impact on your target market. Want more on search marketing? Read this: SEO helps financial advisory site boost traffic 19% amid migration to new CMS.